Haverland Carter is a not for profit dedicated to professional senior housing property and assisted living management. 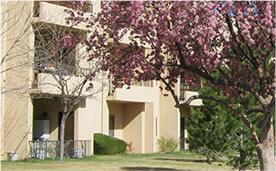 We provide management services to retirement communities throughout New Mexico and the southwest. Haverland Carter is committed to excellence in retirement community management. It is our mission to enhance the well-being and quality of life for older persons through premier management services with competency, compassion and ethical behavior.